Archaeopteryx was about the size of a housecat. 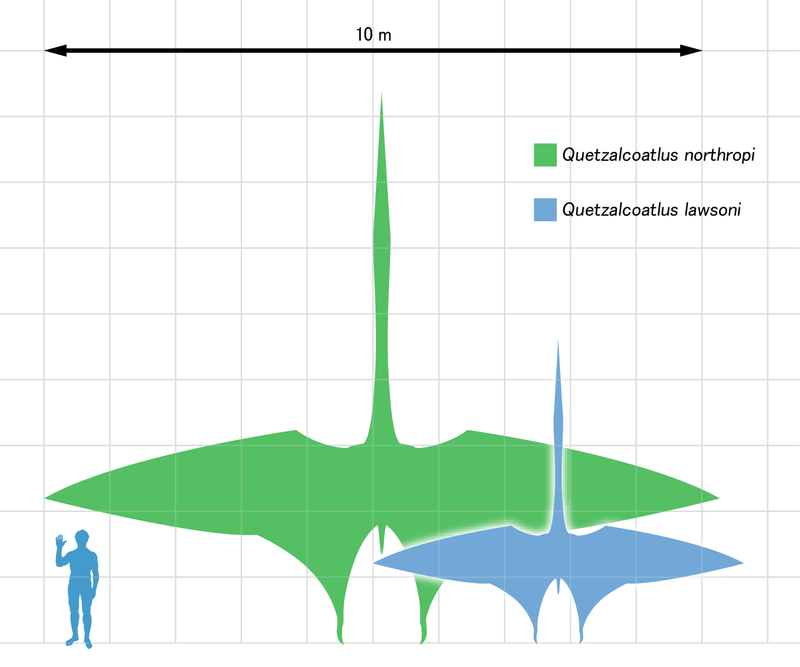 For your flyer, might I suggest Quetzalcoatlus? I'm going to pop in and disagree with the general consensus here. I played a 4-hour con game of AW at U-Con (it was reskinned for Harn) and it was a blast. Character generation went smoothly, and everyone had a blast. I think the chargen system of AW is suited quite well for convention play, it's just that new players might find the mechanics a little unusual. However, our group really got into it. Apocalypse World / Re: Critique my stealth move? Good ideas, all, especially with the inflict harm bit. Hadn't thought of that! I'll just point out that Acting Under Fire's 7-9 result always comes with a downside ("worse outcome, hard bargain, or ugly choice"), and this move doesn't seem to have a downside at the 7-9 level, so I'd be worried about players abusing it. That's a good point, too. I've been mulling this one over for a bit and not sure how to proceed. On the one hand, I think it's not necessarily a big deal if the players can sneak around effectively. On the other hand, there should probably be a bigger risk than what's presented. Bear with me, I'm thinking aloud. • Bypass an obstacle (guard, sentry, watchdog, etc.). • Gain an advantage (for when you want to follow up with another move). • Discover something (scouting, shadowing someone, etc.). Still mulling over how to make this work, exactly. Apocalypse World / Critique my stealth move? • Quietly approach / follow / near someone or something. • Quietly distance yourself from / withdraw from something or something. • Inflict harm on someone. • Conceal your presence, whereabouts, or trail. This is a core move I'm considering. In any sort of game I run (usually D&D or Savage Worlds), stealth plays a big role, even for characters who aren't "traditionally" stealthy. My players love to sneak, so I need a sneak move that's more than acting under fire. Note that you can spend hold to automatically inflict harm, no roll required. That's your sneak attack. Do you think it's too powerful? blood & guts / Re: Having trouble hacking in a general violence move that does what I want. Rogue Trader: Apocalypse / Just wondering if any more work is being done on this. It's a super cool hack. Very slick-looking. Plus it does Dark Heresy without the Dark Heresy system. blood & guts / Having trouble hacking in a general violence move that does what I want. Apocalypse World / Health and damage. Greetings, everyone. I've been interested in AW for quite some time (Dungeon World introduced me to it) so I've been doing a little thought-hacking. Nothing solid enough to publish yet, but I'm working on it. Anyway, I've been struggling to do a health/armor/damage system that wasn't the same "armor as damage reduction" thing that a lot of systems use. Back when I played D&D more, I thought maybe that resisting damage should function kind of like a saving throw--you know, there's an X% chance you'll ignore taking a hit when wearing armor. Obviously that doesn't work out so well in the framework of the d20 system, but I was thinking about importing it to a AW hack. • Fatigued: This is the "freebie" hit, like the first 1-harm in AW. It heals easily and doesn't impact you overall. • Bleeding: When you are bleeding and you roll a 6- when trying something strenuous, you take 1-harm AP. • Debilitated: When you're debilitated, you're in a lot of pain. Any time you take harm, increase the harm taken by 1. • Enfeebled: When you're enfeebled, you're exhausted and can't think straight. Take -1 forward. Each 1-harm causes you to take one injury. • You don't lose your footing or your hold on something, or you don't miss something important. • You don't take the full impact of the blow. Take 1 less harm. • You're not stunned, shaken, and forced to act under fire under you regain your senses. Now, I want to push the game in more of a heroic action-adventure hack, so getting hurt and then coming back from it shouldn't be out of the question. +1, if your allies stand with you. +1, if your duty, an oath, or hope gives you strength. • One injury doesn't seem so terrible. Ignore its effects, at least until this excitement stops. • You're on your feet, quickly, before your foes can react. • You look like the grave. As long as you don't move, your foes will think you're dead. On a 7-9, you yet live, but you are severely weakened. You can crawl and hobble, but any attempts at vigorous activity could kill you. On a 6-, the world turns dark and grey as death claims you for his own.